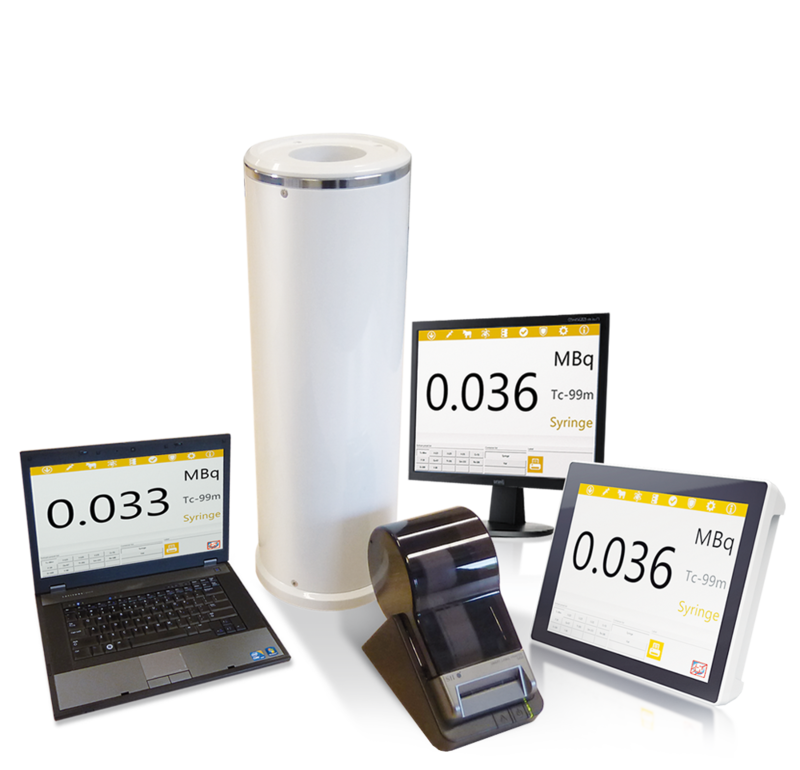 This state-of-the-art touch-screen dose calibrator combines the best of both worlds: it has the extended functionality of a software-based computer and the stability of a stand-alone unit. 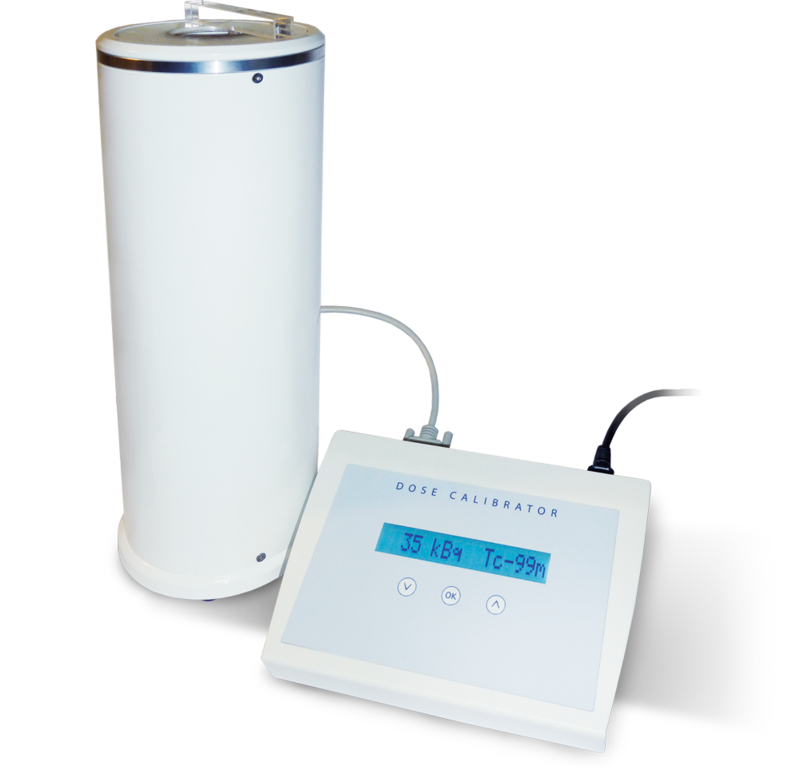 Like all Comecer dose calibrators, each model is used in combination with a completely digital VIK-202 or VIK-203 ionization chamber. The device is specifically designed to make the user feel right at home. Every bit of functionality is through touch and optimized to support the workflow. Performing the daily quality control will only take a tap or two on the brilliant and crisp 10” screen. VDC-606 has CE marking for medical devices and is FDA approved. 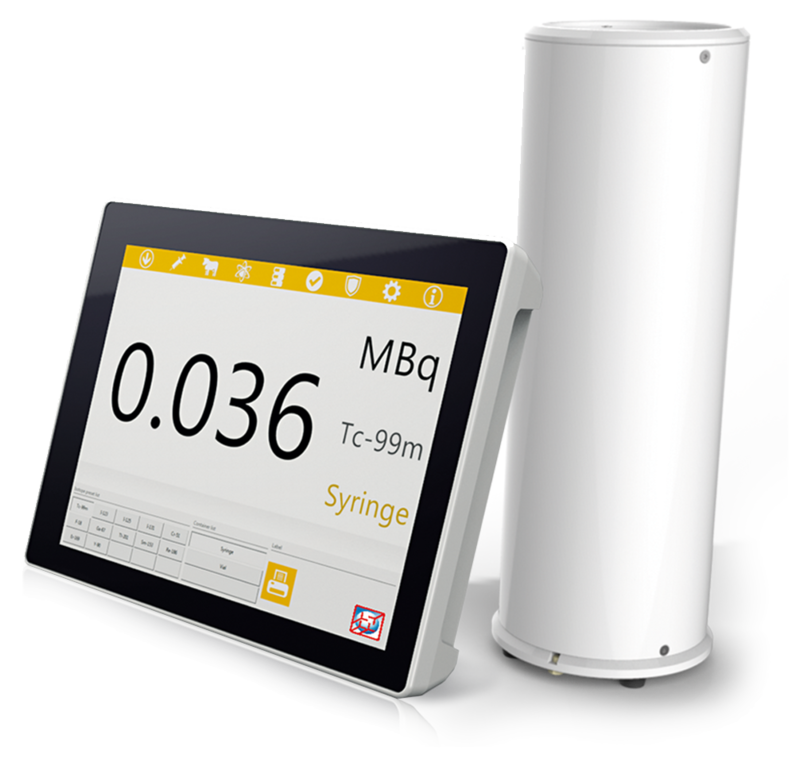 The heart of every Comecer dose calibrator is the ionization chamber: a completely digital detector that gives a fast and reliable reading. The 100% digital output allows the detector to be flexibly integrated into other instruments or structures with no need for a converter or a separate reading unit. The VIK-202 ionization chamber is pressurized at 14 bar (absolute) of Argon and its measurement field is up to 2 Ci of F-18; the VIK-203 ionization chamber is also available, pressurized at 1.4 bar (absolute) of Argon, for a measurement field of up to 20 Ci of F-18. As Comecer produces its own ionization chambers in-house, we can meet specific requirements with special dimensions or measurements. The VDC-603 read-out is the plug & play basic model in the Dose Calibrator family.